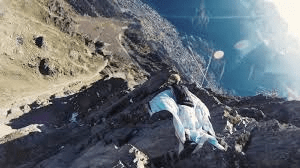 Amazing death defying must see video of Sam Hardy and Nathan Jones of Project: Base doing some crazy wingsuit flying in Amhara Ethiopia, hugging the rocks, rills and thrills of the Simien Mountains. Risking life and limb – and having an extreme adrenaline rush – for a very worthy cause. Sam, Nathan and kindred souls are trying to raise $5,500 and public awareness to dig a water well in the region that will support 350 people. Mere speculation, but I’m guessing they’ll raise enough for at least 50 wells, if not more. You can donate here. Gotta love adrenaline junkies doing good in support of a great cause and aiding those in need of a helping hand. Please continue to support passage of the Paul Simon Water for the World Act that will help to provide life-sustaining water for so many millions of families and children without safe and clean drinking water. 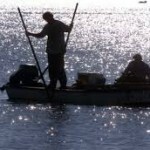 More can be found here and here at the Millennium Water Alliance.